New reports suggest that by the end of the year Apple might introduce three new Macs which will feature Apple’s custom chips. According to a new report by Bloomberg, Apple will bring updated laptops as well as a desktop this year, offering its custom chips on at least of three of the machines. There are no further details about the said chips, but we are assuming these would be similar in functionality to what Apple currently offers on its new iMac Pro and MacBook Pro laptops. Both the MacBook Pro and the new iMac Pro feature Apple made co-processors. The T2 Mac co-processor used on the new iMac handles power management, camera, internal storage, and security. Whereas the T1 Mac Co-processor launched back in 2016 with the MacBook Pro is primarily being used to handle the touch bar above the keyboard and the Touch ID. Both these T1 and T2 co-processors are ARM-based chips and are not intended to take the place of an Intel processor used in these machines. As of now, there is no evidence or report which would suggest things will change this year. Apple is no novice to making processors, in fact, the company has been successfully making processors for its smartphones since 2010. The company announced its first major break in co-processors back in 2013 with the Apple A7 chip, which brought the Secure element for Touch ID and the M7 coprocessor to track motion-tracking. Just last year, the company introduced the A11 bionic chip, which also marked Apple’s entry into the integrated GPU market as well as its ability to make a neural engine. Not just that, all three Apple smartwatches till now have used Apple’s own S-series processors and the company even devised a more energy efficient Bluetooth chip called the W1 chip for its AirPods. 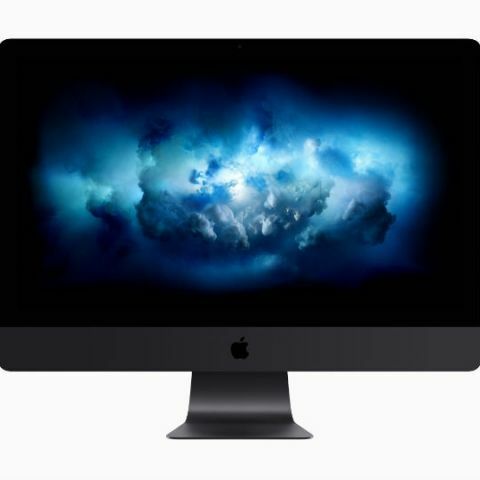 As for the company's laptop (MacBook) and PC (iMac Pro and Mac Pro) lineup, we believe that Apple might introduce all new co-processors to go along with the new Intel or AMD processor to be used on the machines. It is still too early to debate over what the upcoming machines might have otherwise, but one can expect a higher price tag for sure. We also hope that Apple this time will make its Mac Pro modular or upgradable for content creators and other users alike.